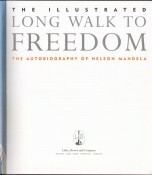 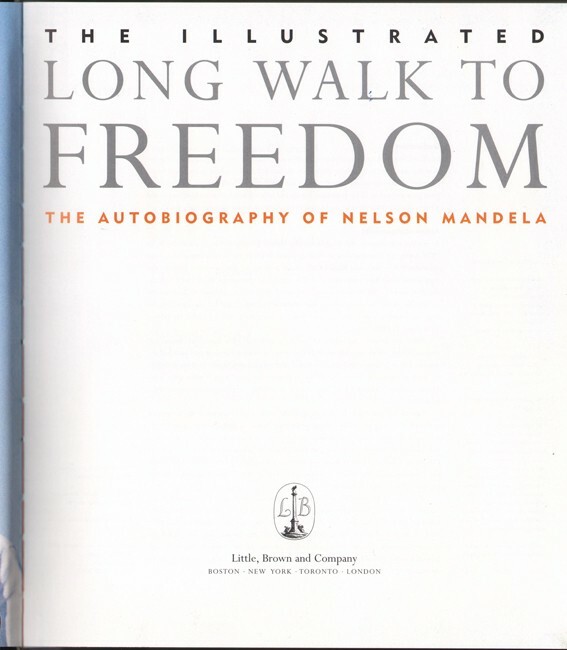 The Autobiography of Nelson Mandela. 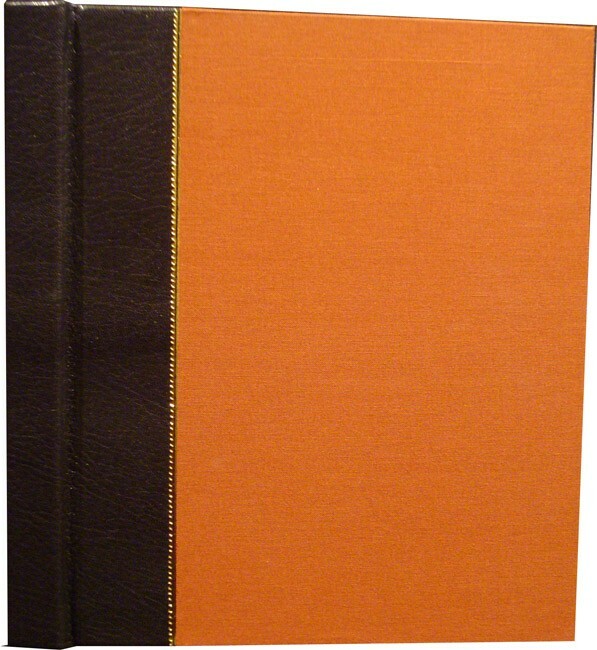 Limited Edition: 208 pages, frontispiece portrait, profusely illustrated throughout with colour and black & white photographs, quarter black morocco, brick-red cloth sides, all edges gilt, silk place marker, a very good copy in the original black cloth solander case with a faded title label and slightly soiled on the upper cover, lined with blue moiré cloth and a dark blue silk ribbon lifter. 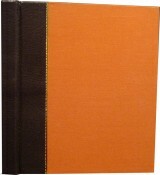 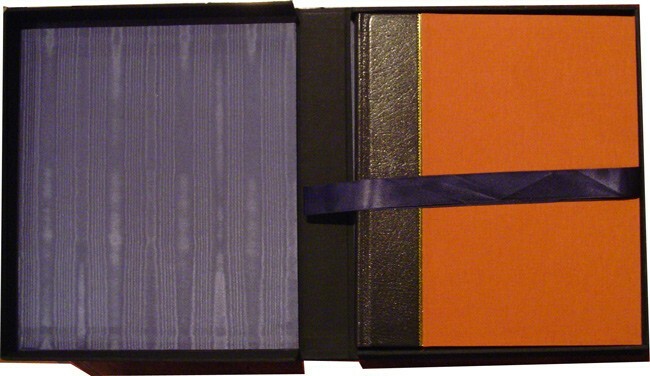 This edition is quarter bound by hand in Wassa goatskin from South Africa. 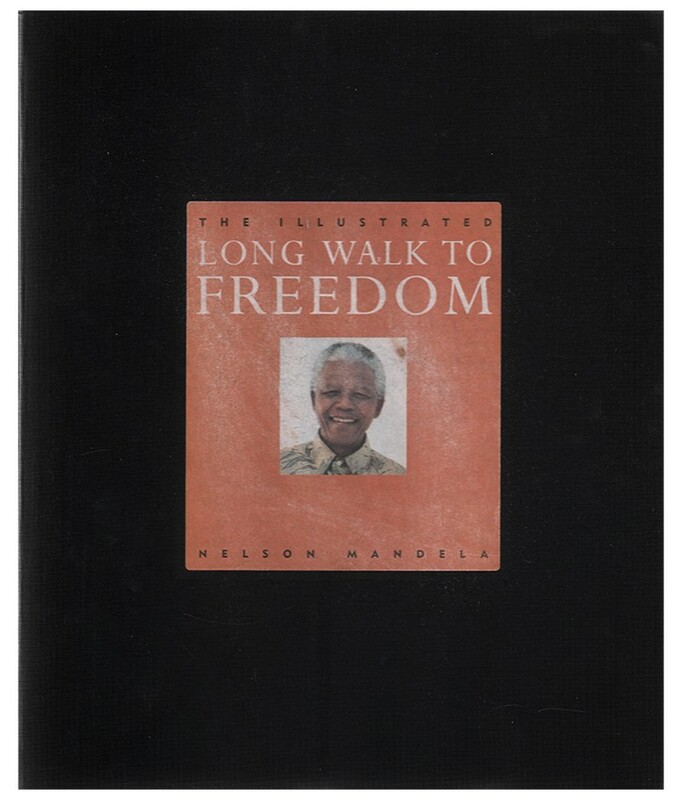 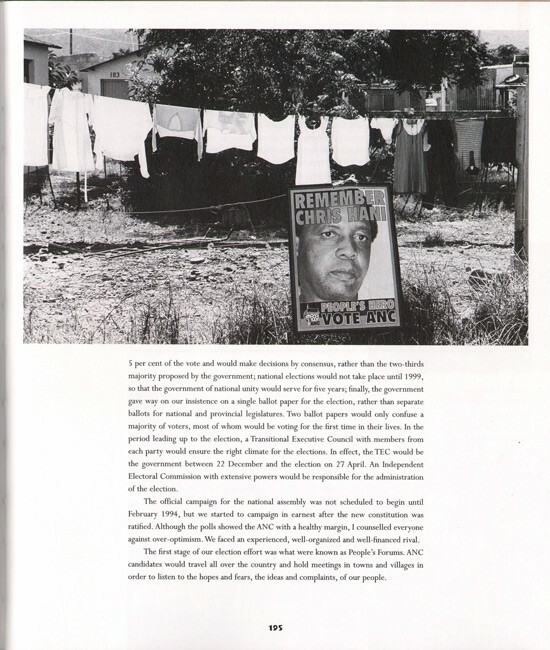 It is limited to four hundred and twenty-five copies and includes a specially commissioned portrait taken by Benny Gool of Southern Images Rondebosch. 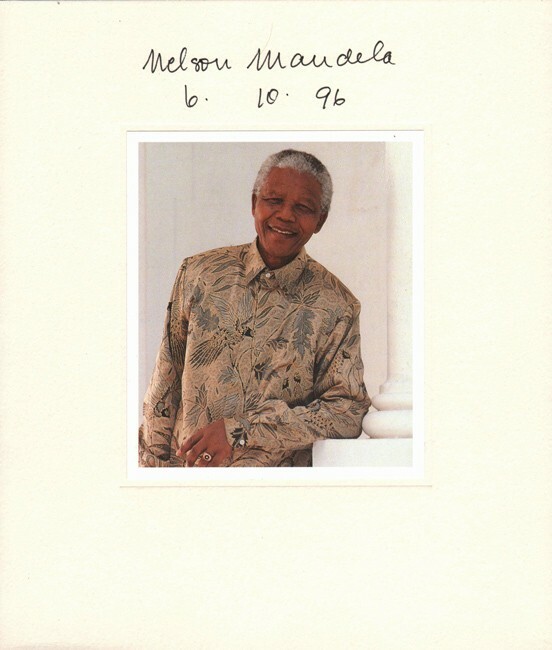 Each portrait is signed by President Mandela. 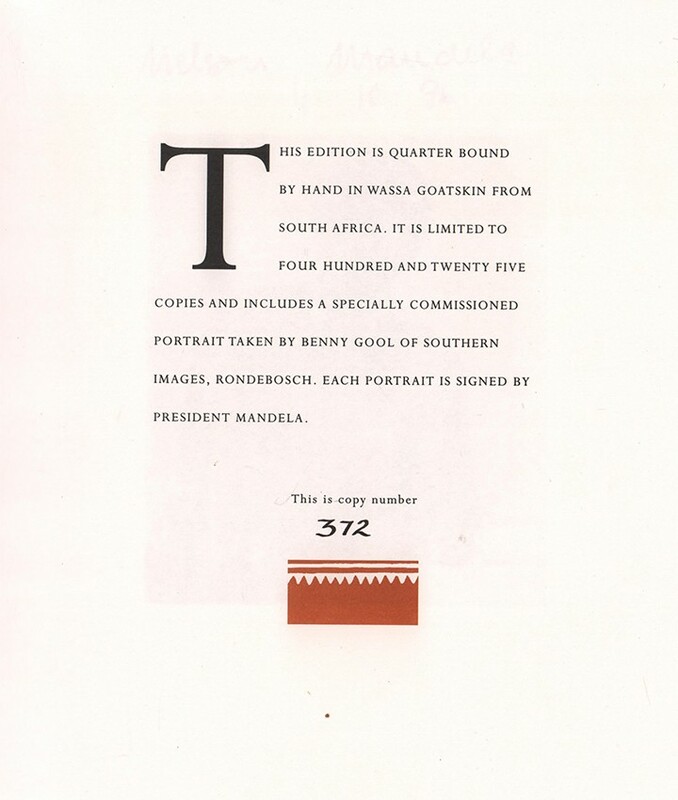 This is copy number 372.